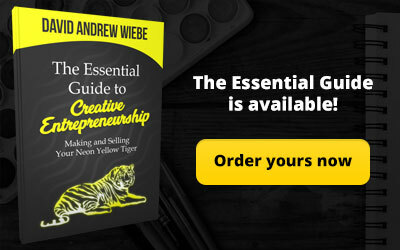 David: This is David Andrew Wiebe Podcast, episode number seven for January 28, 2010. First of all, I’d like to wish you all a very happy New Year. With me here today is Adam Burwash and Karl Abrahamson. Both Adam and Karl are involved with Red Flame Studios so we have all the key people here today. Since it is the New Year, I was wondering if either of you have made any New Year’s resolutions. Let’s start with you, Adam. Adam: I’ve made a New Year’s resolution to stop making New Year’s resolutions. I’m not sure if I’m successful or not. Karl: So with Adam’s quantum state New Year’s resolution, I’m just going to go with the old standbys of trying to do everything better. David: That seems like a good goal. My only goal really, for this year is to try to finish projects instead of starting new ones. Adam: That’s a good goal. Karl: One year to start them all. One year to finish them all. It could be a good cycle. David: Yeah. That would be a good plan right there, if that were possible. Sometimes with music you just never know what the time frame’s going to look like. Karl: This is true. The ongoing saga of . . .
David: Speaking of New Year’s resolutions, the New Year can also be a time of restructuring and examining our priorities. I’ve been taking a good look at what I would like to accomplish with this podcast so I’ve decided to make a couple of changes. Firstly, this is no longer the ‘David Andrew Wiebe Podcast’. 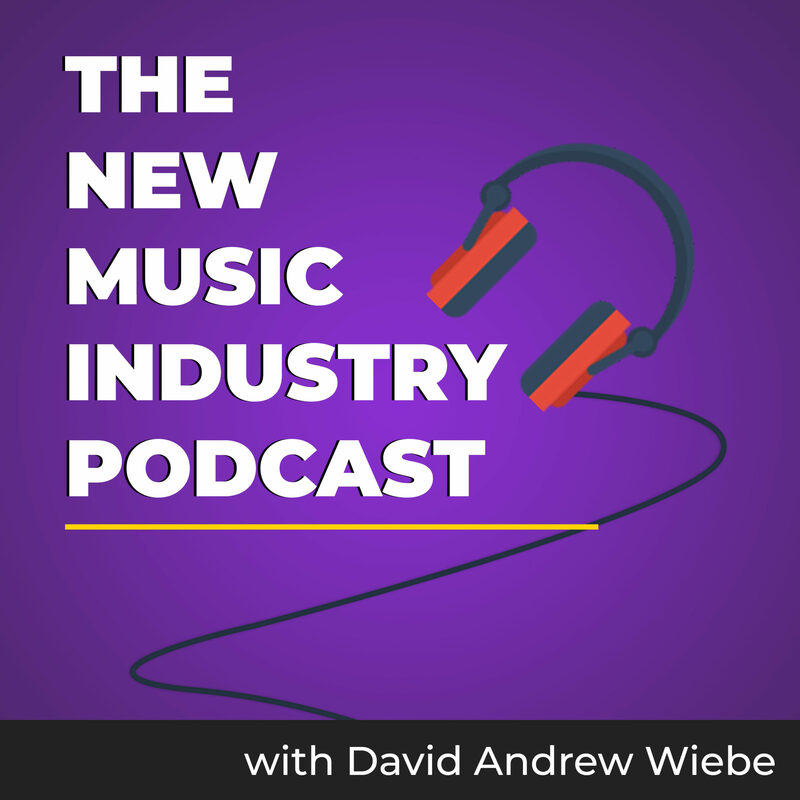 It is now the ‘David Andrew Wiebe Interviews and Music Business Podcast’ because that’s really what this is all about and I think it’s a good idea to further define. Karl: And longer titles sound more auspicious. Adam: It’s all about niche marketing. Go, go, niche marketing. David: Exactly. Niche marketing. Second of all, we won’t be making as many updates that have to do with projects outside of music. I think that’s kind of self-evident but if you want to find other projects I’m working on, it’s as simple as visiting my blog, which is at www.davidandrewwiebe.com and you can find all the links there for pretty well everything that I’m doing. In other words, I’ll only be making music-related updates on this podcast from here on out. I hope all of you listeners out there will appreciate this new direction but if you have any comments, suggestions, you can always send me an e-mail: david@daw-music.com or leave a comment in the show notes at either www.daw-music.com or www.dawinterviews.com [defunct; leave all comments at www.musicentrepreneurhq.com]. Now, before we get into our discussion for today, I’d like to thank Shawn David Evans for being on the podcast. He sent me a composition that he’s written so I’m going to play that for you before we get into anything else. Here’s ‘I Know You’ by Shawn David Evans. Shawn: This is Shawn David Evans and you’re listening to the David Andrew Wiebe Podcast. David: You just head ‘I Know You’ by Shawn David Evans and the vocalist was Erin Tjart. I’m not sure if I’m pronouncing that right but T-J-A-R-T. What do you guys think of this song? Adam: Actually, honestly, when I first heard this I was just blown away because Shawn has always had a history of doing orchestral stuff but this is one of his more ambitious projects. The vocal style actually just blended really well. I’m not sure if you can tell but all the tracks are finales of the kind of preproduction stage. I’d love to really hear this with a full-on symphony orchestra and everything. David: That would make a big difference. Adam: Go to LA one day and get it scored when money starts rolling in but I’m just blown away, as always, by his orchestration abilities. He’s done really kind of dark stuff before and yet this one has kind of that character that starts off, it’s intense but it takes you to an area with some hope. It actually ends up quite kind of up and up-lifting and I haven’t, that change through a lot of songs is a really hard thing to do. David: Well, when I first heard it and when he came in to record it it was actually sounding a lot darker than it ended up being so it ends up having a little hope at the end. Karl: Yeah, I agree. It’s a really deep composition. There’s just a lot of depth between the vocal and the instrumentation. There’s just a lot of richness in there. It’s obviously not where it could potentially be but it’s still amazingly deep. There’s so much in there that if it was fully produced on the huge scale, that would be, in my opinion, on the order with any of the other really big, orchestral productions. The guy’s got a talent for hearing how that kind of thing should fit together. It fits. It flows and it doesn’t feel like it can be simplified at all. It feels like it needs to be that big and it feels that deep. There’s a lot of power there. Adam: Yeah, it doesn’t feel forced or it doesn’t feel kind of pushed or anything. It’s a really good pencil sketch, I think, of where this stuff goes. He doesn’t have all the paintbrushes in there yet but that’s just a matter of production and a matter of just a little more kind of the refining of it. The core of it is so, so good. Karl: Definitely a departure from the pop-y norm of single female vocalist music. Definitely a huge departure from that. Being able to show off not only the depth of the instrumentation but to give the singer a place to show that much talent just in the vocal and have room for it. I think that takes quite a lot of forethought. David: That’s a really good analysis. Right on. Well, let’s get into a few news items. Here are some of the few things that I saw in the headlines in the music industry at large that I found rather interesting. From January 25th and two weeks following, CD Baby is going to be donating $1 for every CD sold to Haiti Relief. Of course this would be a great time for everyone to pick up a copy of my CD and that way you’re supporting a good cause. David: Franz Ferdinand was rather upset about their American label signing a deal with McDonald’s for use of their music and left some rather scathing remarks on Twitter. Adam: Ooh. That raises an interesting legal question, which is, what happens if, and this is where we get into the label debate, the label owns the music so they have every right to make money off of it? Karl: Yeah, I think what this will lead to is more of a split. ‘Indie music’ is just kind of an amorphous term. I think we’ll see more bigger bands that are doing things more on their own, and by ‘bigger’ I mean higher sales bands. I think it shows how much these record labels are struggling just to claw onto what’s left of their market model. They’re going to do absolutely anything they can to make money and in that process, they will alienate a lot of bands that are either going to have to live out their contracts or buy out their contracts and walk away. To me, it’s the death spiral of some of these labels is they’re just hanging on and the market they know is you own music, you sell it to commercials even when they know that it’s going to cause backlash with their bands. At this point, I think some of them, it’s the corporate model and they’re not so concerned about what the band thinks because if they can make a couple million off a McDonald’s commercial, it doesn’t matter to them. But I think the indie market will see another shift as more industry resource goes towards that and more bands selling more but doing it on their own contract, working for themselves. 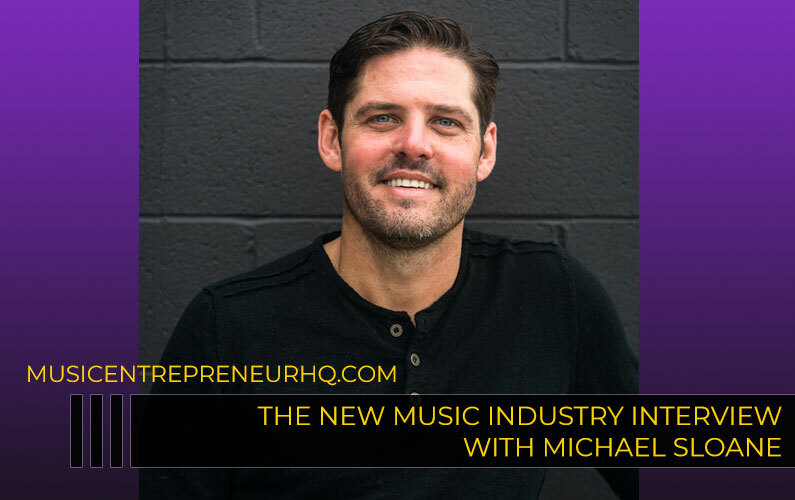 Adam: Well, the interesting thing about that as well is just the fact that we’re kind of in the process of transitioning business models here in the music industry. Before iTunes came on the market in such a big way it was very easy because there was a single source. It was the label, pretty much, that controlled distribution, that controlled this, that controlled your tour, that controlled all the stuff and basically the solution was if you weren’t getting what you need, you just threw more money at it and used the economy of scale to work on it. Now most people have access to more music now on their computer via iTunes than they ever had by going to their local CD store. Karl: The brick and mortar stores really don’t stand a chance against the iTunes library. They don’t have to stock anything. Adam: But the new dilemma for artists now is not getting your music published because it’s pretty absurdly easy to go in to record a CD, to get it up on CD Baby or on iTunes or something like that. Adam: The big dilemma is how you get over that signal to noise ratio. How do you get your stuff heard over everything else? There are still some old school throw money at it ways that work. 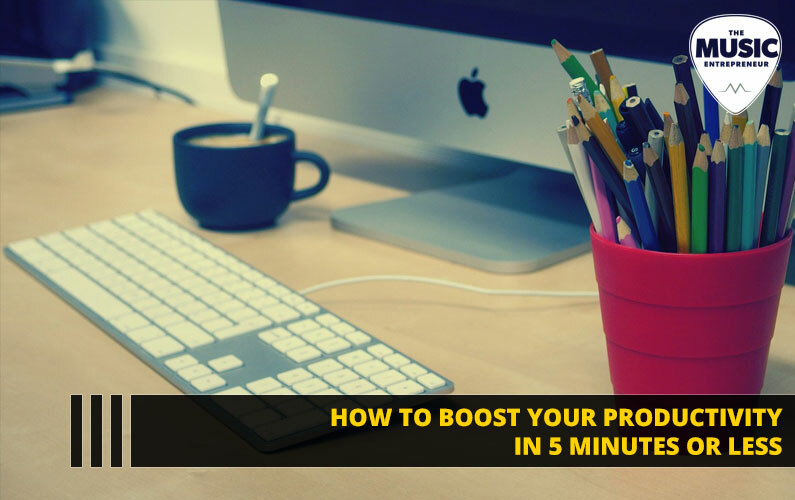 You can buy ads on the iTunes homepage if you really want to, if you’re talking huge, huge scale but it doesn’t scale the same way it did and there’s other things that you need to do to generate publicity and a buzz and everything. 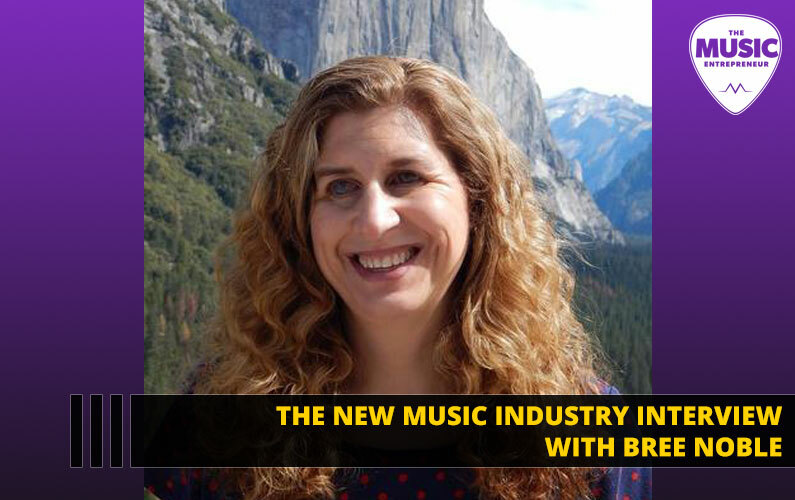 The music industry is almost really moving into kind of the Hollywood style where part of it’s about the product and part of it is about the buzz you generate about the product. Once you get the product to a certain point, it becomes self-sustaining. Until then, it’s really hard. And what do you do as a band to generate that buzz, or as an artist? What do you do that also links it back to what you say about who you are with your fans because there’s all sorts of ways to generate buzz but at the end of the day, you want to choose one that works with who you are and who your fans are, as opposed to just copying and pasting it from someone else. Now, you don’t have those books. You don’t have those archetypes anymore. They’re gone so you have to be really innovative in order to create kind of an icon that stands out above the noise and above the clutter. David: Well, the flip side to this too is that there are more and more indie bands being discovered because of licensing and being played on TV and commercials and reality shows and all that kind of stuff so it’s interesting to see that some bands would not have certain products or placements affect their image. Maybe because Franz Ferdinand is also not an American band they have a different perspective on that kind of thing too. Karl: True, but with some of these bands being discovered through video games like Bioware’s Grabbing and the Tony Hawk games and stuff like that, those bands, are they going to go more towards they’re going to be the primary holder of the contract as opposed to going through a label. So they’re still doing something that works for them but it’s something that’s on their terms. Even if it’s the same outcome, I think that’s going to be an important thing to people is being on their own terms and defining their own level of success. Right now, level of success is in platinum records but a lot of other industries, a best-selling book in Canada is what, 10,000 copies now? Really, that’s not a big deal but that gets you on a best-seller list so maybe we shift the model of what success is but allow people to do things on their own terms. David: That’s maybe a good point because things might be becoming more and more local. If it’s about the people you know, well, you’re going to know more people locally than you are outside of where you live. Karl: Ironic that the Internet gives us more local. Adam: That is very ironic. David: Recently I was reading about a lady who creates crossword puzzles but she’s doing Canadiana-relevant crossword puzzles and this has created quite a stir. It’s actually got her more sales because it’s kind of a niche market. Adam: I think that’s the big thing. We’re coming into an age now where the Internet has really gone and pushed the niche marketing angle. You talk to anyone even in offline businesses and careers and stuff, the way to be successful in what you do is not to try to do everything but it’s to try to do what you do well to the best of your ability and hone that because we’re coming into a period here where other than FM radio, and FM radio is starting to change on this, no one does top 40 anymore. The industry used to be pray and pray and hope that you broke into top 40 and when you broke into top 40, magically, mysteriously everything happened. David: At least for a short time. Adam: Now, as Karl alluded to earlier, he said it’s no longer these platinum-selling, there’s more access to music, there’s more artists out there and so you can make a living at it by not having to sell as much because your production costs and everything else is way, way, way, way down. Digital content’s cheap and you don’t have to pay to store it and you don’t have to pay to do any of that stuff with it. The people that are getting noticed are the people that have that niche market. I’d say find who your core fans are. Find the people that already love your band, or even better, obsess about your band or both, your particular thing that you do. If you find those people and you find what makes them alike, you go, ‘Okay, maybe I’ll push even more in that direction.’ And honestly, that should probably come very naturally to you because if you’re that type of person, you’re probably already pushing in that direction. This is not something where you have to reinvent the wheel. You just go, ‘Okay, I’m going to work more on what I love doing, as opposed to on what I “need” to do to succeed.’ Hopefully at the end of the day this will all be a much funner process for everyone involved. I think it will as the markets continue to shift. David: But you’ve really got to love it to keep at it. That seems to be the main thing with music. Adam: Well, if you don’t love your music, why are you doing it, honestly? 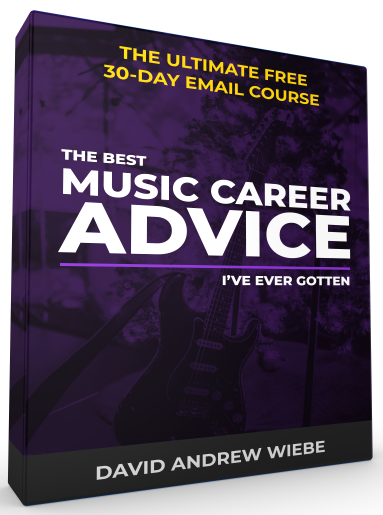 If you came in the music business to make money, go become a lawyer. Karl: You missed it by about 40 years. Adam: Go sell cars. Even the 40 years ago, unless you were in the top half a percent, probably less than the top half a percent in the music industry, you weren’t making any good money. Karl: That’s true but money is made in a lot of different, the music industry has gone from a massive industry with probably thousands of job descriptions down to, at the very base, you can get away with, what, three, four people to do it very well. There was less room. Most little recording studios don’t have a janitor anymore. David: That’s true. We certainly don’t. Karl: But considering how many people worked in the ‘music industry’ but were actually the night watchman or the janitor or the tape runner or whatever. Karl: Yeah, and it’s not so much to not to pay them but it’s just to not pay them. Don’t tell someone you’ll pay them and then not pay them. David: Bad mistake. Bad mistake. Karl: That’s horrible. That will bite you later. But generally speaking, there are a lot of things that people will do because they’re not being paid, because you would never be able to pay them enough to get them to do it. Then you’re farther ahead because then you know they’re in it not for something else. I think the other thing is define your own success early. When you’re going in, tell yourself what is going to be the point at which you feel you’re going to have achieved success. 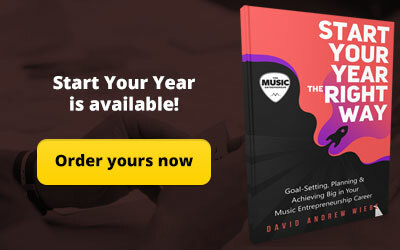 If you go in saying, ‘Success is my first million dollars in sales or success is my first 100,000 records sold,’ you might want to take a step back and really give that a close consideration as to what’s real. But if you get past your first 4,000 records sold and you haven’t told yourself what success is, you could get a long way and never feel successful. But if you told yourself at the beginning, ‘If we sell 1,000 records, if we break even on this project, then we’re good,’ then really, you’re far ahead of the game of everybody else and you’d be a lot happier. David: Yeah, it’s good to have certain landmarks as you’re going along with your career. Adam: Yeah, I know one of my, for instance the last band that I was in, one of the big landmarks I set for myself is I said, ‘This band will break even. We will be in the black.’ When the band split up we sent checks out to everyone, which was such a unique experience because being in so many bands where it just doesn’t. It meant that we didn’t pay for a lot of expensive promotion. We didn’t pay for a lot of stuff but what it did mean is that when the band left, everyone could still be friends. That’s way, way more important to me than selling another thousand albums. Karl: Yeah, and like many people have said before and will say, ‘Bands end.’ Some bands last for a day. Some bands last for a week. Some bands last for 40 years. You don’t know. But there’s no point in having a band or having a group that’s going to burn its bridges when it ends. It’s always good to have those friends later on for other projects. Everybody always needs to know somebody that has a certain skill set and if that person won’t talk to you again, sometimes it’ll be very challenging to find another person like them. Especially as small as the industry gets and as local as it gets, reputation precedes and the more people that think you’re a good person to work with, the easier your life is and the happier you’ll be. If people know that you have a reputation for causing them grief, it’s going to get a lot more difficult to do the thing you love to do. David: Definitely. You’ve got to have different kinds of people when you’re going at it. Well, another interesting news item was veteran German rock band The Scorpions have announced that they will be releasing a new album entitled ‘Sting in the Tail’ in Europe on March 19th. This, however, was preceded by their announcement of retirement. Now, I must plead ignorance in this case that I didn’t even know that they were still playing music but after all these years they finally decided that they are retiring on a high note. Karl: I kind of think it might be, well, granted, these guys have been doing it long enough. We know them as a one-hit wonder here but this is probably their life’s career. This is what they know and if they’re at the point where they’re actually wanting to retire, then it makes sense. Go out known and not faded away into the nothingness or just have made a good shot at it or maybe they’re going with the Eagles’ method of marketing and saying, ‘Sorry, guys, we’re going to quit. Okay, well, maybe not, maybe one more.’ So who knows what they’re doing but they’ve been around for so long, these guys know nothing other, I’m pretty sure at this point they don’t have other career plans, not heading back to university to get engineering degrees. Karl: I could be wrong but it’s not like a bunch of 25-year-old guys that their garage band has now broken up and they realize it’s time to grow up. I think these guys have far and away done that. Adam: Yeah, it’s interesting. I’m kind of divided on the whole concept of farewell albums. On one hand, I think that if you’ve done a good job, the strength of your stuff will last and people will remember you for the classic material that you put out. But on the other hand, I can see from an artists’ perspective wanting to have one last kick at the can and do that. The nice thing about a farewell album is you don’t have to justify it in terms of sales or stuff like this. These guys are retiring. They’re doing a farewell album because they want to so it’s going to be the music that, hopefully, it should be, I should say, the music that the band most wants to perform. Karl: It’ll be a folk album. Karl: It’s what they wanted to do at the beginning. Adam: If I ever got into a successful band or something and we were in the situation, I think I would totally love to just release a farewell album that’s completely different from anything else. The band name is, ‘Write something that you’d never, ever write in a million years and record it for our farewell album. Karl: But I think the other thing is artists in general are people that they’re more in touch with their own emotions and that leads to a little more sentimental feeling and that maybe their feeling that that’s their final goodbye to each other. They basically lived together for how long, if they’ve been touring. For them, it could just be a sense of closure for them to just say, ‘Okay, now it’s done. This is the last project but to have it final as opposed to having a last show, unless they’re planning on getting Martin Scorsese to shoot it. Not too many bands do it that way. David: Well, their statement did indicate that it was the strongest of any of the material they had done before. But I guess that’s still a subjective thing. It’s music. Karl: I think anyone would say that. Adam: How do you judge on strongest, on what the band believes is the strongest, on what the sales? Adam: And honestly, a farewell album, since you’re not going to tour on it, even if it has some really great material on it, it’s not going to get the same exposure as any of your other albums so it kind of starts off on an unfair footing anyway so you can’t really even judge it by sales. You just have to, well, we’ll judge it by the band’s statement. How about that? Karl: I think we’ll just take their word on it, yeah, that’s good. David: It’s a good point. Those were some of the more interesting headlines that I noticed in the news. Of course there were many, many others, just none that really struck me as interesting. So let’s do a bit of a year in review. As you probably know, this is the first episode of the year so I wanted to do a year in review and let’s take a moment to talk about 2009. Let’s start with you, Karl. You just got back from Australia a few weeks ago so talk about some of your experiences. Karl: Well, it’s been kind of, I was in Australia for four months but I really have been away for six months. Did two months working at a children’s camp and then promptly left pretty much the day after that was done, got on a plane and headed to Australia. My girlfriend was there for the four months previous to my leaving, dealing with some family stuff. She’s from there. Her whole family’s there. Yeah, it was basically a four-month working vacation minus any real working. Just a good break, quite probably the last chance I’ll get to do something as relaxed as that in quite awhile. Yeah, some really awesome saltwater fishing, no sharks and nothing really deep water but it’s a different experience to fish with stingrays. Apparently when you get one on the line they tell you just to cut it because either it’ll take all your line or if it decides to swim towards you just because it’s tied to you, generally things get very bad after that. But even the little ones, I’m told, fight just unbelievably. They’re incredibly powerful creatures. It’s really neat standing knee-deep in water, just having them swim around you and knowing that at any time one of them gets annoyed at you, you’re probably going to be in a serious world of hurt. It’s kind of like camping with grizzly bears in a different sort of way. But, yeah, back now and I’m kind of getting back settled in. The beginning part of ’09 was really kind of a non-event. I can’t really think of a whole lot that actually happened that was exciting compared to the last half. But yeah, really, it was all around a generally up year. David: How about you, Adam? You got married last year so you must have a few stories to tell. Adam: Yeah, I think that would be the high point of last year was getting married. That should be the high point of any year, I hope, yes. No, it was last year, honestly, looking back at it, seems to have really flown by. Part of it was because my wife and I had such a short engagement. I proposed in May and we got married in August, which I would highly, highly endorse. It was really, really fun and planning the wedding was fun and getting married was awesome and the honeymoon was great. Karl: He’s the only guy, just for the record, that ever thinks that wedding planning is fun. Maybe not quite but he’s a little bit odd. Adam: The key, I’ll tell you all here, the key to doing successful wedding planning is to figure out what you’re good at and what you’re not and leave that to the other person. Adam: My wife took care of all of the getting things sorted and guest list and invitations and all that stuff. I took care of all the going knocking on people’s doors and trying to find good deals for stuff and growling at them and trying to intimidate them down into better prices. It was fun for me. The hunting for deals for your wedding, it’s something you’ll never, ever do again in your life and it’s products that you’ll probably never, ever buy. I don’t think I’ll ever cater for 100 people ever again but it’s fun to try to look for a deal on it. Karl: That part makes sense. Adam: Yes, it’s not all enjoyable but looking back on it, yes, it’s much more enjoyable. Yeah, that was fun. It was just a really good year, actually, honestly. I really enjoyed summer. I’m very much a summer person. Adam: Traditionally this kind of January/February time is my time where I just sit here and go, ‘Uhh’. David: Yeah, and it affects your mood so much. Adam: Oh it does, definitely. Also I guess a band I was in broke up last year but that didn’t seem to really kind of register, mostly because of this whole loving someone and getting married thing, which I also highly recommend. Loving someone first, then getting married. You can try it the other way around. David: Well, a lot of people do it the other way around these days. Karl: The things people will do for a green card. Adam: Oh well. Or Canadian health care. Karl: I don’t think you actually have to get married to a Canadian to get Canadian health care. They kind of just give it away. Adam: Shh. You can tell that too loud. David: Well, it’s just harder to get your card if you ever lose it. Karl: Yes, this is true. This is true. We won’t tell the Internet how to get good health care. David: We’re not really experts on that field. Karl: No, not at all. Adam: Please don’t make our taxes go up. Last year, musically, I actually did a couple of things. I did a couple concerts and stuff like that from a production perspective that were really quite fun. I got to be a crew chief for the, I shouldn’t say for the first time, but a crew chief for a fairly major show, working with a crew of about 27 guys for a show, which was fun and chaotic and stressful and I probably would do it again, just maybe not with that particular production company. No names named to protect the guilty. David: Yeah, you don’t want that all over the Internet and all of our two listeners knowing about that. Karl: That’s true. I also just remembered one of the highlights of the year, is I can now say that I have been the manager of a band. David: That’s right. You can put that on your resume. Karl: Not everyone can say that they managed a band that actually published some music. So it’s not like, ‘Oh I was a manager for a band. We didn’t do anything’. We actually did publish some stuff so that’s pretty awesome. David: We played some pretty decent shows too. Karl: Yeah, there was some good shows. I guess that would be another highlight. David: That’s probably a shared experience among all of us. Karl: I should hope it was. David: Considering we were all involved in the same band. For me, looking back, I guess we played 32 shows last year. That was my count and I think that’s probably as good as any year I’ve done in terms of numbers. That includes a show I played with Angels Breaking Silence, of course, and The Pity Dates. When I really think about it though, I realize that 2009 was the official birth of The Pity Dates. Until then we were playing with a lot of different names and hadn’t come up with anything yet so we finally settled on The Pity Dates. Looking back, there were a lot of memorable gigs. In May, I played the grand opening of Good Earth Cafe on 11th Street Southwest. In August, The Pity Dates took small town Stavely, Alberta by storm and that was actually a lot of fun, just playing to a bar crowd. Then Captain Wiebe and the Love Pirates made their first ever appearance on Halloween at The House, unfortunately. Adam: I forgot about that. David: Unfortunately there wasn’t much of a crowd for that one, being Halloween and everything but memorable nevertheless. Karl: I just think that needs to be a t-shirt. I should get on that. Just ‘Captain Wiebe and the Love Pirates’, just kind of in an old school kind of Van Halen style concert shirt with fictional tour dates, just for the sheer sake of the awesomeness. David: Well, my friend Chris Naish said that should be my band name. That should be it. Adam: Oh yeah! Well, it is the best band name ever. I’ll get working on a design for those shirts. David: 2009 also saw the humble beginnings of this podcast, of course. I have a lot more exciting interviews on the way so make sure to subscribe and keep posted on the latest updates. I’d also like to take some time to talk about Red Flame, especially since we have all the key people here today. Let’s start with Adam. What are some of the things that you’ve worked on with Red Flame and past, present, future and what are some of the things that you do now? Adam: Well, I’d like to start with some of the stuff that I’ve worked on in the future. I’m not quite sure what it is but I’m pretty sure it’ll be fun. Karl: What is it with you and your quantum states? Adam: I know. I’m feeling very quantum-y today. David: That’s more of a telegraphing and projecting thing. What can you see in the future? Adam: Oh, are you foreshadowing here? Adam: Yeah, Red Flame is, it’s been a really fun year for Red Flame, actually. 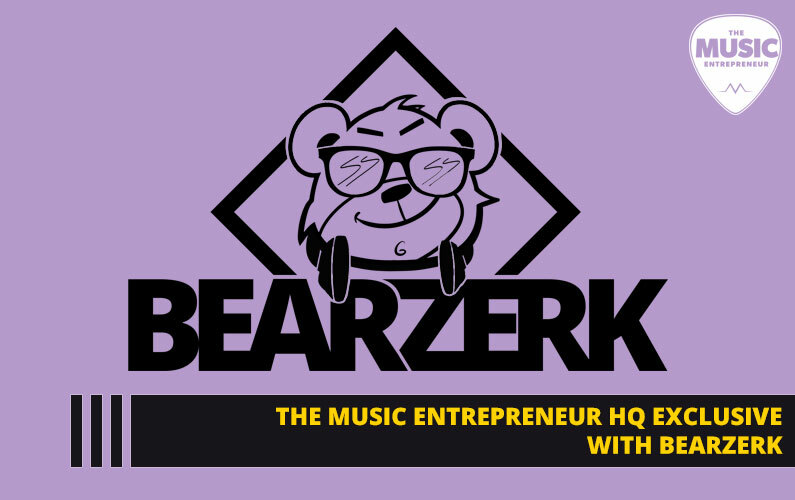 I’ve kind of stepped away from the helm of, I shouldn’t say the helm, but I’ve stepped away from mostly just because of my physically moves and locations, stepped away from kind of the day to day operations of it but I’m really excited. The artists that we got to work with last year, were really fun and I’m just really loving kind of the new role I’m taking on kind of is engineer and coming in and not having to do as much day to day operational stuff. That’s been quite fun for me, actually. David: More and more I’ve become kind of the resident engineer. I’m definitely a junior engineer but we have Adam as our senior engineer. How about you, Karl? What are some of the things you have worked on with Red Flame? Karl: Well, before I left I was doing some of the day to day stuff and I’ve been working on getting back into that, being the junior, junior engineer, manning the phone. David: Which is still vital to a company. Karl: Yeah, just little things like that, getting more experience in general and just doing some of the little hardware things and stuff like that. Last year saw the demise of the poor old Mac. Karl: The rebuilding of a new PC, which shock of all shocks, somehow we managed to put a PC in where a Mac used to live, which I think is kind of a world first. Adam: Especially in this place. Well, basically Karl went and argued with me about it and spec’d it for me and priced it for me and everything and I said, ‘OK, this is your one chance. If you screw this up, we’re never getting PC’s ever again,’ and he did a really good job, actually. David: Yeah, he convinced us. Adam: So I’m really happy to say we have a PC for a studio computer. I’m happy to say that if you have someone that will custom build your computer from scratch with you with the intent of it being a recording machine and you install it completely clean and you keep it completely clean and you kill about 90% of Windows. Karl: And never, ever, ever let it go anywhere near the Internet. Adam: Yeah, you’ll be Okay. Karl: So with those caveats in mind, a PC can make a recording computer but it’s really not much for anything else. Adam: A dedicated hardware box, basically. Karl: Very dedicated. It’s a good dedicated machine. David: Well, here’s a question for all of us: where do we see Red Flame headed in the future? Karl: I personally see Red Flame headed in the direction we’re going with small scale recordings, possibly getting more into the higher quality recordings for recurring projects, possibly a venue for people to record podcasts or videocasts or things like that where a dedicated recording space is needed frequently and doing it at a higher level. Also just helping or doing preproduction work with a lot of people and just having a lot of traffic through, I think that’s a fairly foreseeable event. David: That sounds reasonable to me, especially since we’ve been doing more voice recording recently than anything, in terms of time, because songs tend to be three minutes, podcasts tend to be anywhere from four minutes to an hour or upwards of two hours. Adam: Yeah, it’s quite interesting how we’re kind of in an area here where music business is changing and how much of it is music and how much of it is information is changing and the role that recording is playing in that is changing. One of the strengths of Red Flame is that we’ve always been a very diverse group and we’ve done everything from music production to music recording to mixing and mastering and all the way up to actually trying to get some of the stuff out on the road. Part of it is the because the cost of recording has come down, there’s people that are using it for a lot more applications now. Honestly, I really have no idea where we’re going but I think we’re well-positioned to take advantage of the shifts in the industry. The big thing is that, just like any major shift, the idea shift and then the money behind them kind of shifts slower. People are still figuring out how to monetize this, whether or not they just count this off as advertising or whether this is something they want to make money on or the current model right now for a large band, like if you’re looking kind of maybe let’s say 30 or 40 dates a year, anywhere from 200 and up fans a date is you basically sell your CD to cover the cost of production. You don’t make anything on it and you make your money off live shows. Or you give your CD away so that as a promotional tool. Adam: Whereas back in the old days, you toured to promote your CD. Now you CD to promote your tour and that’s just one of the shifts that’s happening in the industry. Recording is still essential but it’s more an advertising mechanism now than it is a product. I think that would be very limiting and very dangerous to us because, like Adam said, we can’t focus on or we don’t know what’s going to come down the pipeline, what the next trend is going to be and by keeping that open, we’ll be in a place to be taking advantage of that trend early whenever it happens. When we discover we’re in the middle of it, we’ve already been on the trend, instead of having to jump in halfway through. Adam: Either that or we’ll just use Karl’s magic 8 ball. David: You have one, Karl? Karl: It’s not terribly reliable. Adam: That’s how the company was founded. David: But in either case, it sounds like we’re pretty well positioned to take advantage of whatever trends might come along. Well, as you may already know, the podcast doesn’t bring in any income on its own so I’ve set up a few ways in which you can support future podcast episodes. One, you can purchase an album or any of the merchandise on the website, which is at www.daw-music.com. You can also make donations of any amount on my website by clicking on the PayPal donate button, which I just put out there. 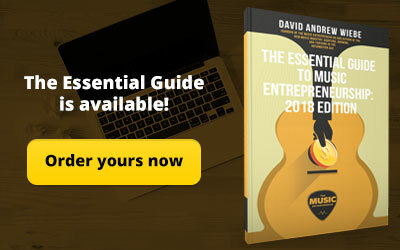 You can also find this at www.daw-music.com [www.musicentrepreneurhq.com]. If you enjoyed this podcast episode, you can help spread the word by sending this podcast episode to your friends. Any closing remarks? Adam? Karl?< Adam: We’re still with the rest of the industry, not knowing how to monetize this so we’re giving you plenty of options to help. David: And there will be more. Karl: That’s right. My final thought is I hear a lot of things about crowdsourcing and the other such so if somebody, say, just had a big stack of cash and wanted to finance someone else’s album, I’m sure we could find somebody that wanted an album financed if somebody had money to give them, so keep that in mind for all of our random listeners who, in this recession, might have more money than they know what to do with. It’s possible. David: Definitely possible. All right, well, thank you so much for tuning in today and thank you, Karl, thank you, Adam, for being on the podcast. Adam: Our pleasure. Thank you. David: We hope you’ve enjoyed this episode. 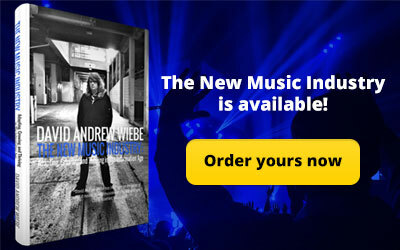 You’ve been listening to the David Andrew Wiebe Interviews and Music Business Podcast, broadcasting from Calgary, Alberta, Canada.